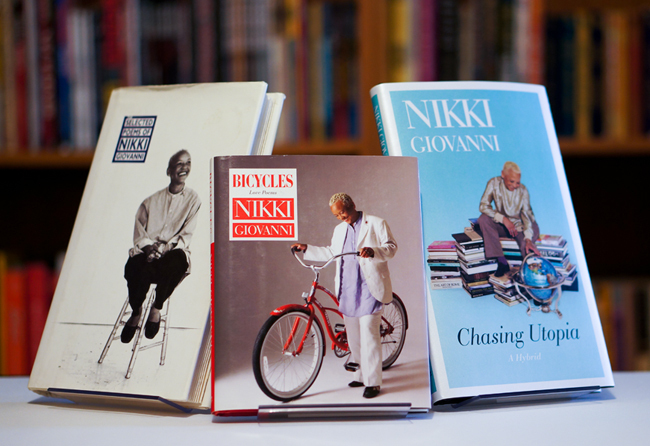 Quiet as it's kept, Nikki Giovanni is one of our most prolific writers. She's been actively publishing books since the late 1960s. What began with her early works during the Black Arts era has persisted for five decades. At this point, she has published volumes of poetry, children's books, and collections of essays. She has published books of her conversations with James Baldwin and Margaret Walker. She has edited collections of poems. All those publications contribute to the importance of Giovanni's contributions to Black Book History.